Chain link fences are pretty durable, but since they are exposed to the elements 24/7, a little maintenance is necessary from time to time. Every few months, walk along the boundary of the fence and inspect it for signs of damage from wear and tear. Make a note of any rusted areas, and address those quickly to prevent further rusting. A chain link fence that is only lightly dusty or strewn with cobwebs is simple to clean. Just take a broom and sweep it. This also works well for grass trimmings that get caught in the chain link. Dirt and grime that resist your efforts with a broom will need a bit more attention. Set your hose spray nozzle to a concentrated jet of water, and clean the fence with plain water. Some caked-on grime might not come off the first time. If necessary, you can mix some natural borax powder in a bucket of water. Decant the solution into the sprayer and hose down the fence again. Let the diluted borax sit on the fence panels for about 10 minutes before rinsing off with plain water. Wear rubber gloves if you need to scrub any stubborn areas. A fence maintenance company can correct rusty posts and panels for you. Or, if only a small area is rusted, you can put on work gloves and use steel wool to buff it out. Commercial rust removal products are also available. Read the label carefully before using these products, and use plain water to rinse the fence well afterward. You can keep your chain link fence functioning at its best by applying a little oil now and then. The hinges on the gate need oil. You should also oil the latches, springs, and joints. In addition to offering new installations, A-1 Fence Inc. is pleased to offer maintenance services. We can provide ongoing maintenance, aesthetic enhancements, and repair services for any chain link fence in the San Jose area. Call (408) 259-2955 to request information about our competitive rates. Can You Grow Shrubs Along a Chain Link Fence? There are many advantages to installing a chain link fence around your property. They are sturdy, secure, and low-maintenance. Plus, they’re incredibly durable. But many homeowners decide that they want to improve the aesthetic appeal and privacy of their yards by landscaping the fence line. Watch this video for some quick tips on planting shrubs. The horticulturalist featured here has planted ficus shrubs along his chain link fence. He recommends spacing the shrubs about 24 inches apart. As they grow, keep the forward growth trimmed to encourage them to grow closer together and form a hedge. To truly beautify your yard in San Jose , start with a brand-new chain link fence. Call A-1 Fence Inc. at (408) 259-2955 and ask us about our fence designs. Do you need fencing and wonder if a chain link fence may be the right choice for you? If so, then read on to learn some facts about this type of fencing. Chain link fencing has many uses. 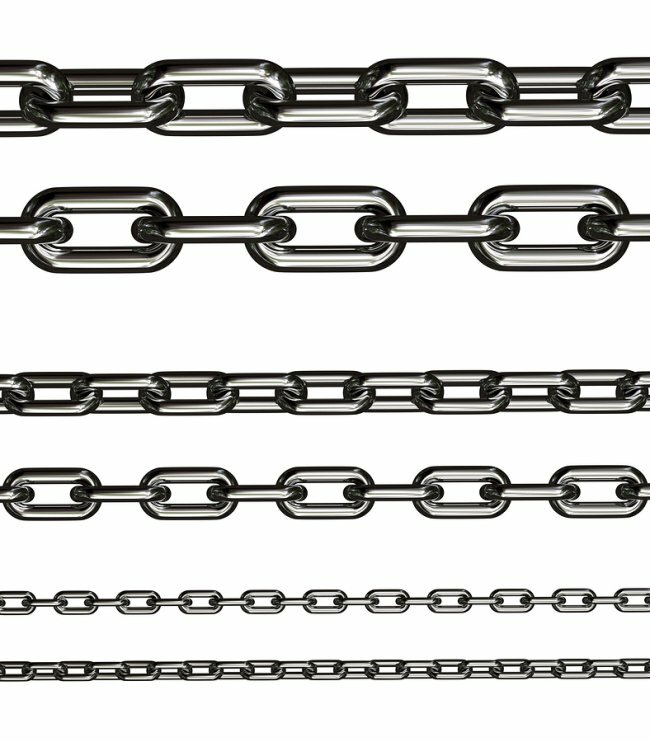 The applications for chain link fencing are many and varied. For example, a chain link fence can be effective for keeping kids and pets safer around your backyard pool by helping to keep them away from the water when there is no adult supervision. Or, if you have a garden that critters love getting into, then a chain link fence may be able to help keep them from devouring your vegetables when you’re not looking. Chain link fencing is also a popular product for creating front and backyard barriers, and it is a great choice for many commercial and recreational applications. Chain link fencing is transparent. In some situations, you may be looking for privacy and find that chain link fencing isn’t the ideal solution to your needs. In other cases, however, having a fence that does not block your view of what is on the other side can be ideal. For example, if you need to mark off your property line, but you don’t want to obstruct the view of the surrounding land, then a chain link fence can be a smart choice. Chain link fencing is incredibly versatile. Besides being a smart option for a broad range of fencing purposes, chain link fencing is easy to both install and move. This fact means that if you need to adjust the position of your fencing for some reason, then moving the posts to a new location will not be a major project. Lastly, the same features that make chain link fencing easy to install and reposition also make it simple to maintain, replace, and repair. If you’re in need of a new chain link fence near San Jose , then look no further than A-1 Fence Inc. For information about our chain link fence installation, maintenance, and repair services, call (408) 259-2955. A chain link fence will provide your property with exceptional security and durability. While this type of fencing is known for its long lasting performance, there may come a time when you need to contact your fencing contractor to schedule professional repairs. If the top rail on your chain link fence gets damaged, you will need to fix this problem right away. Here is a closer look at how a professional can repair a damaged top rail on a chain link fence. The first step of fixing a damaged top rail on a chain link fence is to completely remove the damaged section. Since your fence’s rail will typically be screwed into place, your contractor may need to use heavy pliers to pull the rail off of its mountings. Once the rail has been lifted, the rest of the repairs can be performed. When a top rail gets damaged, its bolts and brackets may become misaligned. In order to fix your damaged top rail, your contractor may need to hammer the rail ends so that they sit straight. A large, powerful hammer will be used to knock the metal ends into the correct position. Once the brackets and bolt holes are in position, your contractor will be ready to reattach the rail section. Metal bolts will be used to firmly screw the rail into place. Once your contractor is satisfied that the rail is sitting properly, the repair process will be over. Whether you are seeking chain link fence repair or new fencing in San Jose, let A-1 Fence Inc. assist you with your next project. We offer a variety of gates and fence designs, and we will also be able to help you maintain your fence throughout the years and seasons. Call us at (408) 259-2955 to receive more information about the terrific fencing services that we have to offer. First, think about your fence’s age. If it is quite new and was installed less than 6 months ago, then contact the manufacturer or installer to learn how long you should wait before painting it. Next, examine your fence because you want to be certain that the structure is free of rust before you begin painting. You can use a wire brush to remove any areas of rust that you find. Now, make sure that your fence is clean and then trim any grass that’s growing along your fence line. Finally, slide your cardboard or drop cloths beneath the structure. Before you begin the painting process, be sure that your fence is completely dry. If the structure is free of moisture, then you can start by mixing your chain link fence paint and pouring it into a paint tray. Now, wet a paint roller with paint and then drag it along the fence in a diagonal direction. Do this on both sides and then use a paint brush to touch up areas you missed and paint the top and bottom of the fence. With your fence painted, you’re ready to begin the cleanup process. Gather up your brushes, rollers, paint tray, and cardboard by bundling them in the drop cloths and then disposing of them. If you notice that any paint got onto your lawn, then simply trim the blades with a bag attached to your mower. Finally, give your fence a few days to dry before disturbing it. If you’re in need of fencing equipment or a new chain link fence in San Jose , then look no further than A-1 Fence Inc. Please call (408) 259-2955 for details about our products and services. What Are the Best Strategies for Maintaining Your Chain Link Fence? Chain link fences are great additions to any yard because they are dependable and easily customized. Though chain link is strong and rust-resistant, your fence should undergo occasional maintenance. Here are a few strategies that will help you maintain your chain link fence for years to come. 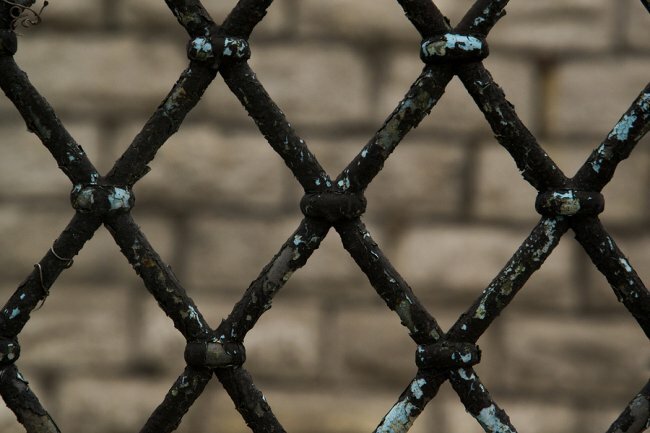 Though chain link fences are often galvanized to resist corrosion, rust can still form on susceptible areas. These areas are usually exposed to a lot of moisture and very little sun. Chain link fences should be sprayed with a high-powered hose to remove all damaging factors, such as spider webs, dirt, debris, and rust. When most of the dirt and debris have been removed, take a wire brush to scrub and wipe off any remaining debris. If your chain link fence and landscaping are not properly maintained, then your fencing will suffer. You can plant vines and hedges near your chain link fence, but you must keep an eye on your chain link as well as your landscaping. If you allow dead leaves, excess moisture, and landscaping debris to collect around your fence, then you risk damage that could soon become irreparable. Whether you have vines or hedges nearby, your chain link should get a regular cleaning . Use a rag or sponge to apply a mild cleaning solution and water to give your fence a deeper clean. Rinse it off with a hose, and let it dry in full sunshine to reduce the risk of rust formation. For help installing or maintaining your chain link fence near San Jose, call A-1 Fence, Inc. at (408) 259-2955. We can also help you with any fence design services you need, and even install automatic gates. Visit our website or give us a call to get started. If you have a chain link fence surrounding your yard, then you probably love how low-maintenance it is. However, you may not like how easy it is to see through chain link fences. Watch this short video to learn more about growing shrubs to increase privacy. Growing shrubs or vines is a great way to increase the privacy of your chain link fence. Those same plants will also cut down on any noise interference from a nearby road or neighbors. Once you plant your shrubs or vines, train them to crawl up the fence and grow together. This will give you a lot of privacy. Choose A-1 Fence Inc. to install your chain link fence near San Jose. We have over 40 years of experience with various types of fence designs and materials, including wrought iron. Please call us at (408) 259-2955 to schedule your free estimate right away. You might think the wood versus chain link fencing debate is pretty one sided, but there are in fact many ways in which chain link beats out wood fencing. Admittedly, chain link fencing might not have the same aesthetic appeal and timeless look of wood fencing, but there are many other areas in which chain link gets the edge. If you are considering installing a new fence, consider these ways in which chain link beats out wooden fencing. Contact a chain link fencing company in San Jose to learn more about the benefits of installing a chain link fence . 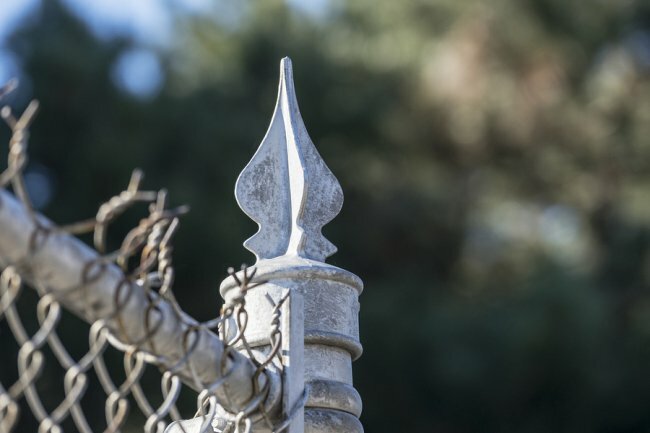 When it comes to fencing cost, chain link is the hands-down no-question winner. Chain link fencing costs depend on the current price for stainless steel, but generally chain link fencing can cost between two and three times less than wood fencing. Not only are chain link fencing materials less than wood, but the cost to install a chain link fence is much cheaper than installing a wood fence. The long-term total cost of ownership is also less for chain link fences compared to wood fences. Chain link fences are extremely low maintenance, to the point in fact that some chain link fences are maintenance-free once installed. Wood fences, on the other hand, can require a significant investment of time and money to maintain over time. This is one of the reasons the total cost of ownership for chain link fences is less than wood fences. 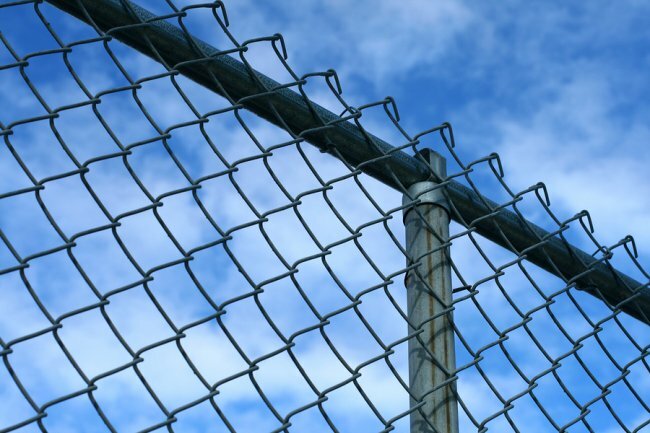 Similar to the above point, chain link fences generally experience fewer problems than wood fences and therefore do not require as much repair over the long run comparatively. For example, chain link fences will never experience rot or termite damage, two common issues with wood fences that can require expensive repairs. If you’re interested in learning more about chain link fences, contact the experts at A-1 Fence, Inc. We are San Jose’s trusted chain link fencing company. Contact us online or call us at (408) 259-2955 to request a free chain link fencing estimate. When you are seeking an incredibly durable and secure fencing material for your property, you may want to consider installing a chain link fence. With a brand new chain link fence, you can rest assured that your yard or property has been fully secured. A contractor that specializes in fences can provide you with ironworks and other services that are needed to complete your fence installation to perfection. 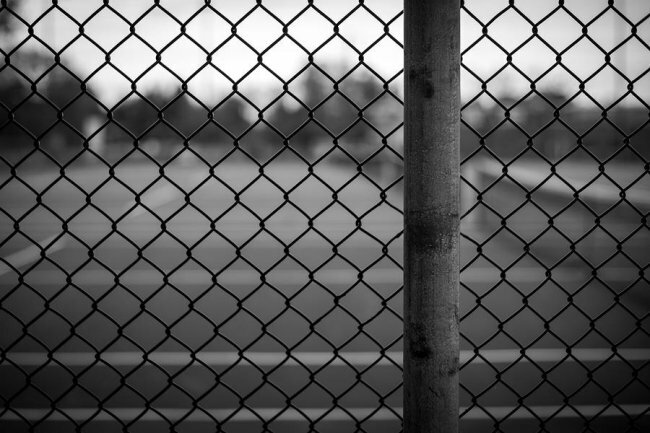 Read on for a look at the benefits of chain link fencing. When you install a new chain link fence on your property, you can feel great knowing that your new fence will provide you with incredible durability. 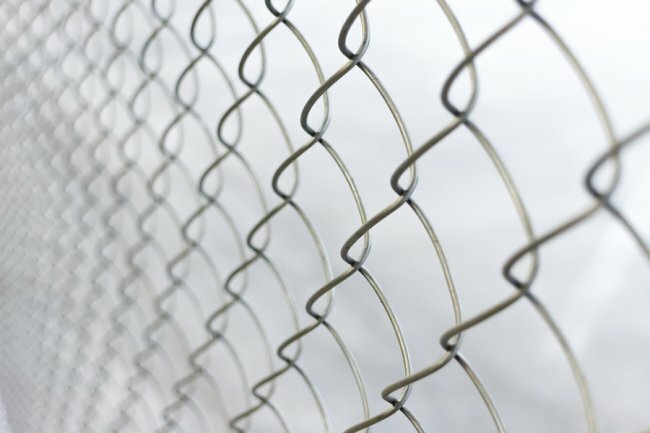 Chain link fencing is constructed from a material that is called galvanized steel, which is renowned for its extreme durability and weather resistance. After your chain link fence installation has been completed, your fence will last for many decades to come. Unlike a white picket fence, which is primarily decorative, a chain link fence is primarily used to provide you with enhanced security on your property. When you create a new chain link fence that is five feet tall or higher, you can rest assured that no unwanted visitors will be able to enter your property. 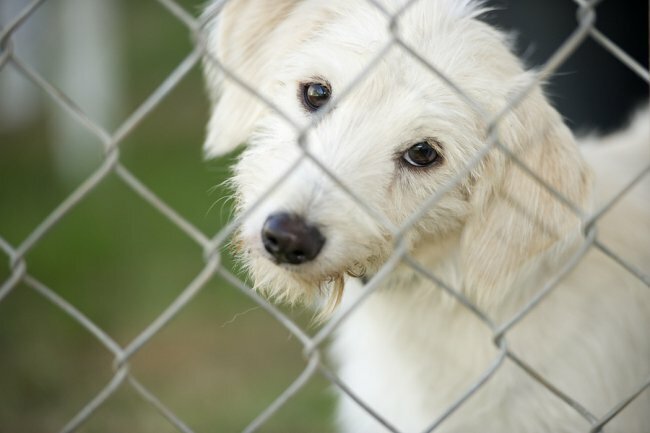 A chain link security fence can also provide you with peace of mind when children or pets are playing in your yard. A final benefit of chain link fencing is that this type of fencing requires little to no maintenance. When you are seeking a new fence that is virtually maintenance free, you can plan to have your links coated with a protective substance. When you are ready for a new fence in San Jose, be sure to get in touch with A-1 Fence Inc . Our team of fence professionals can provide you with the fencing equipment and installation services that you need to get the most benefit from your new fence. Call us at (408) 259-2955 to learn more about how we can help you.